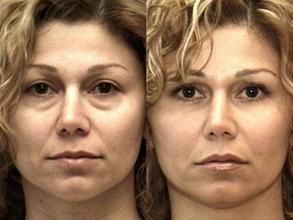 Over time, our bone, muscle, fat and skin loses volume, leaving the eye areas and cheeks to appear hollow and gray instead of plump and rosy. Skin loses support, causing it to sag in areas such as the eyelids, jowls and neck. 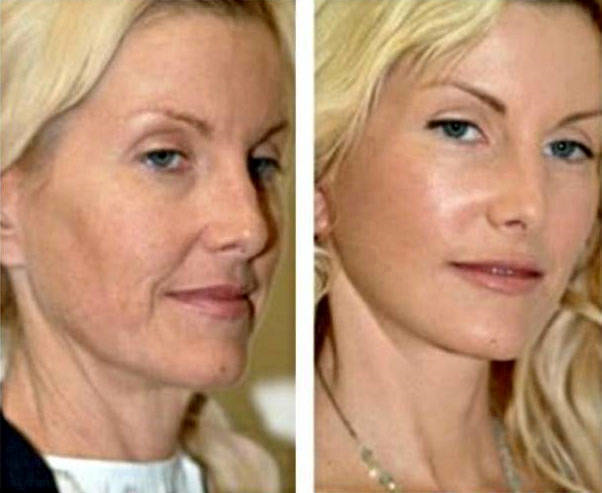 The Vampire Facelift corrects with an incredible restorative process that stops time in its tracks, giving you a subliminal glow that’s natural and lasting. The Vampire Facelift isn’t as “monstrous” as it sounds. In fact, this is not a surgical facelift and is treated as an outpatient procedure, rendering same-day results. This trendy skin treatment derives its name from the use of the patient’s own blood along with hyaluronic acid dermal filler to improve skin quality. Painless injections are administered in specified areas of the face to reduce wrinkles and boost skin volume, effectively shaving years off appearance. You’ll experience a complete facial rejuvenation that harnesses the body’s own healing and regenerative properties to give skin a healthy and youthful glow. The results can last for a few months or up to one year after completion. Is the Vampire Facelift Right For Me? This skin treatment tackles aging, but even if you already have lines, a consultation is still recommended to determine if this is the right procedure for you. Contact us to schedule your appointment with Dr. Mitchell and let's discuss the best course of action for your unique needs.